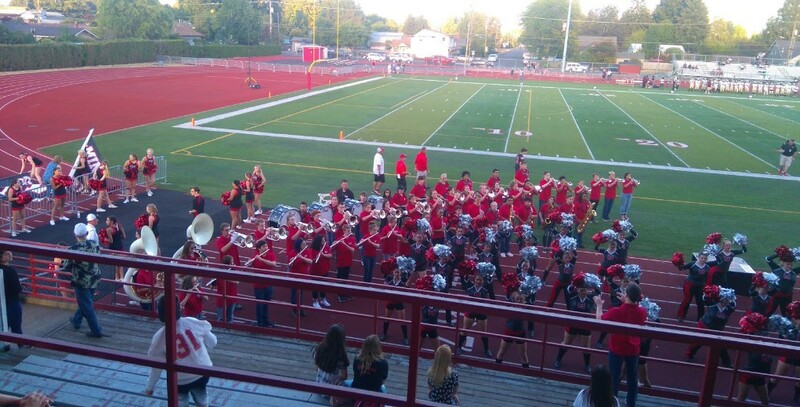 The first home game of the football season was last Friday and the Mac Band was there to start things off. 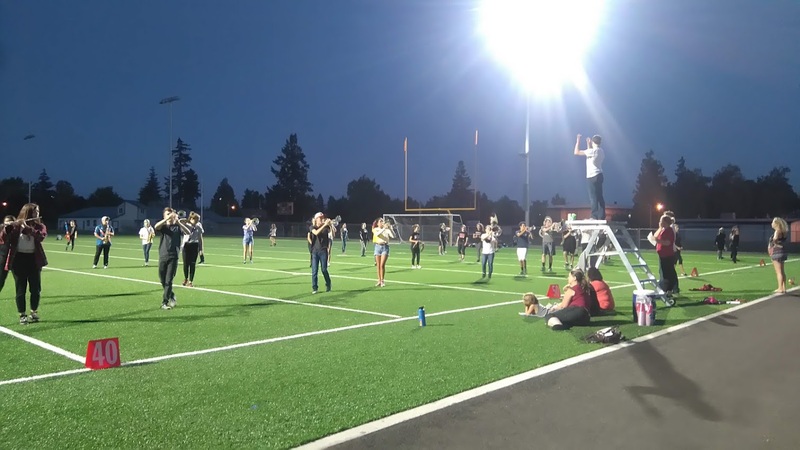 They began with a solid performance of the National Anthem, welcomed the team to the field with the fight song, and kept the music going throughout the game. The band is sounding great and the freshmen are proving to be quick studies in learning all the pep band pieces. This was also the first opportunity for the band to wear their new ‘casual uniform’. They’ll be using this uniform throughout the year for pep band and parades. Last week, I mentioned that there were new photos and videos of the Band Camp parent show on the Mac Band Members Only Facebook Page. I forgot to note that this is a private page, so if you’d like access, send an email to mbpo40@gmail.com and we’ll make sure you’re added to the group. NOTE: We are still hoping to reschedule the March-a-Thon and I’ll send an update when a decision is made. Out along the edge of the field I haven’t noticed them, but I have heard that a few mosquitoes have been out with the Marching Band. So if your kids have been getting bit, be sure to feed them lots of garlic or send along a little bug spray.